We offer an in-house screen printing ink colour matching service, we do not pass colour matching on to manufacturers thus losing flexibility and increasing turnaround times. We match to all recognised colour standards e.g. 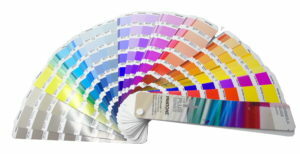 Pantone, Ral and BS.We also match to specific customer supplied colour samples.